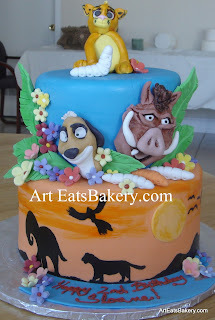 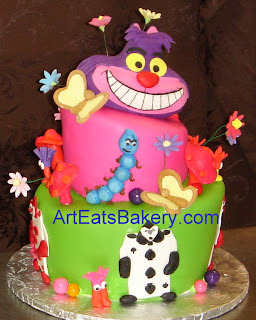 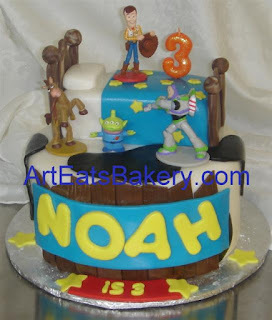 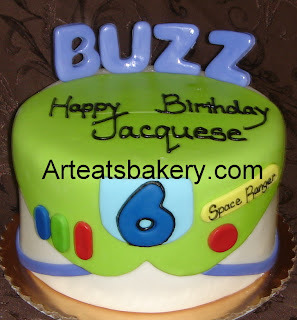 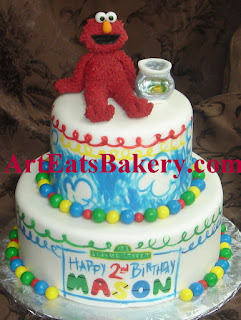 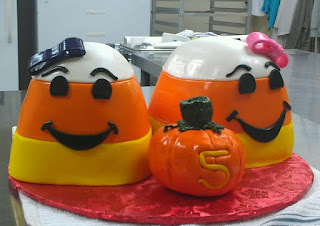 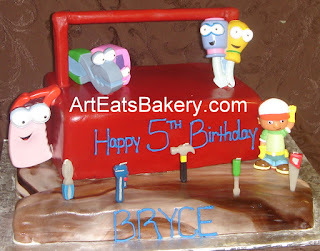 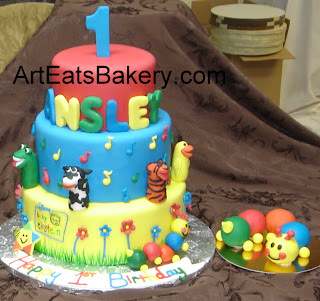 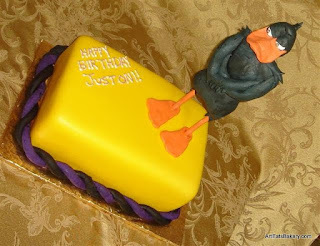 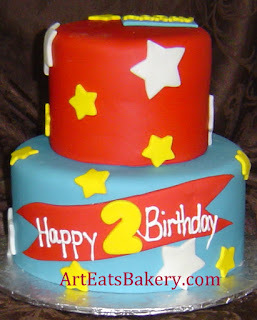 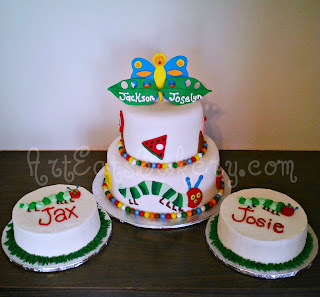 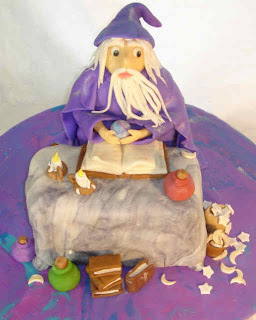 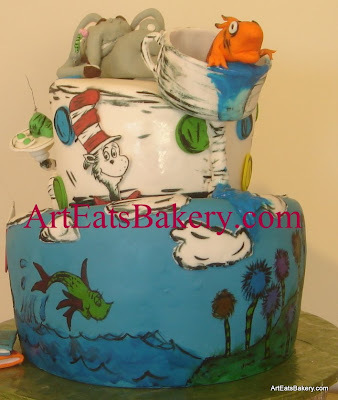 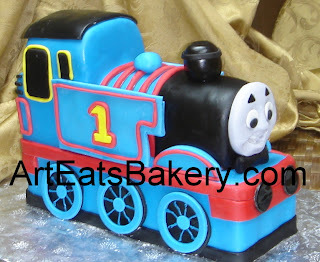 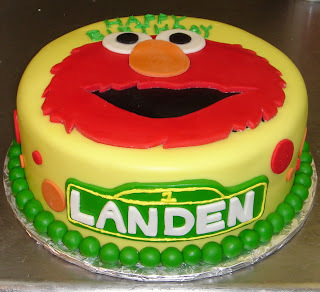 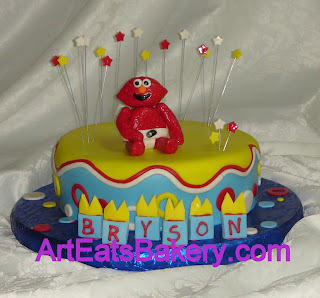 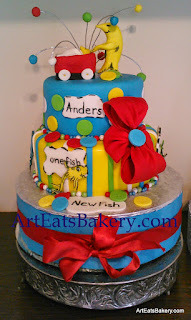 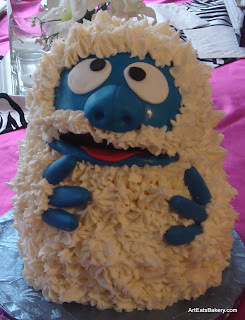 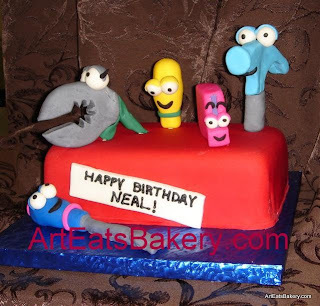 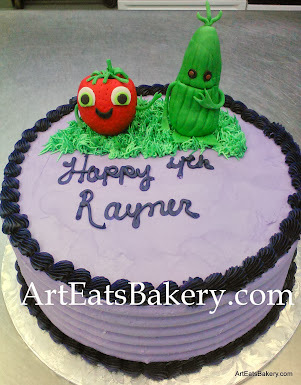 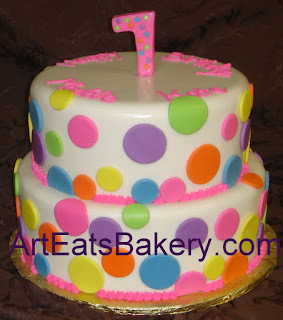 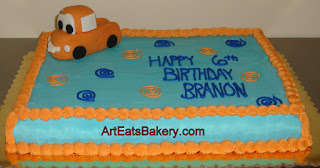 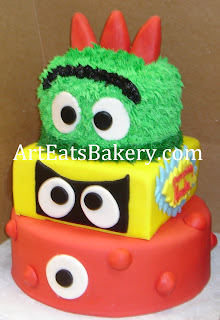 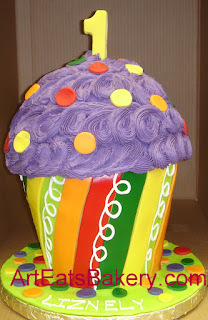 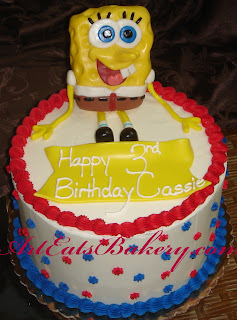 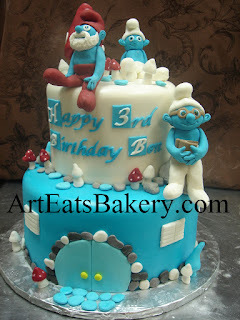 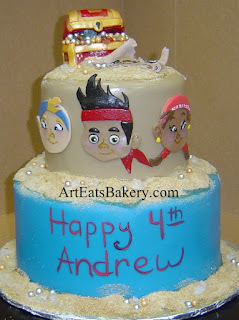 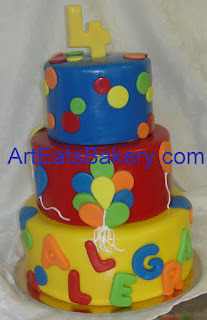 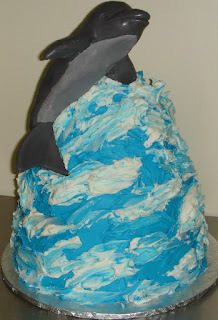 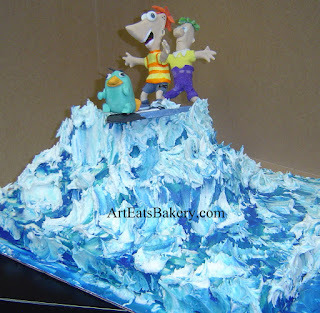 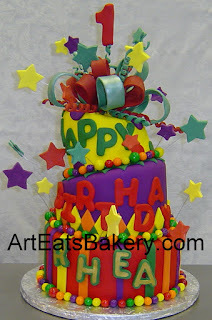 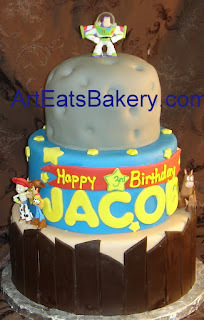 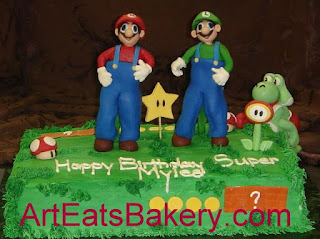 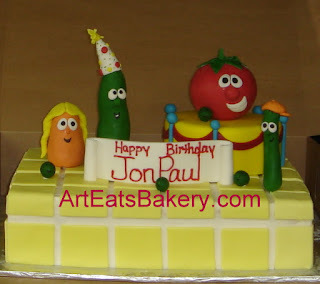 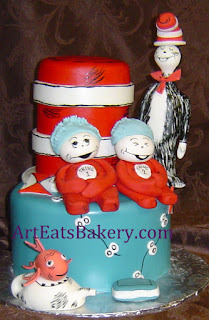 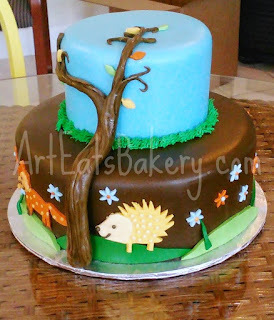 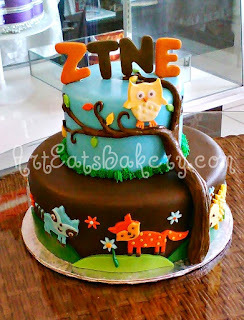 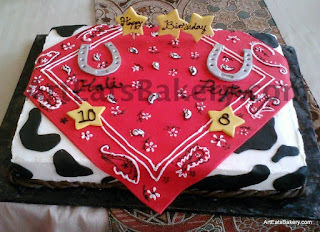 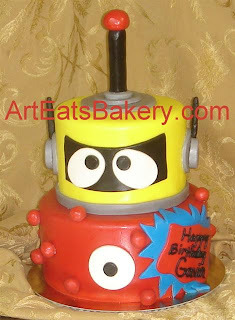 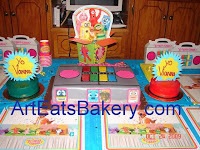 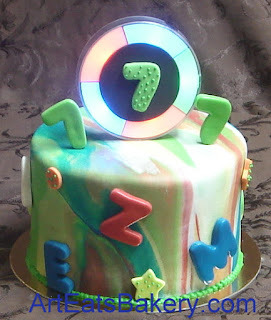 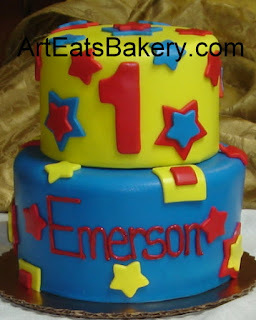 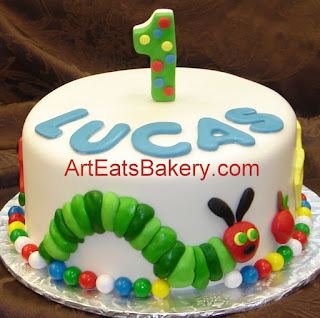 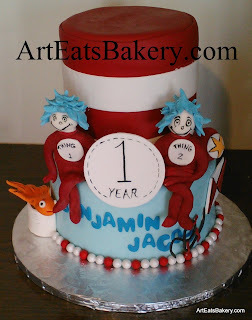 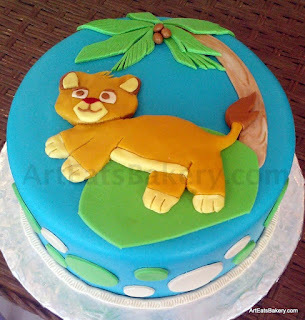 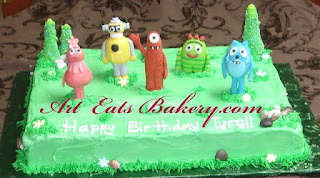 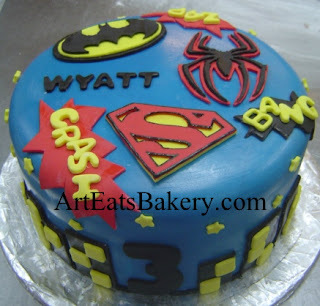 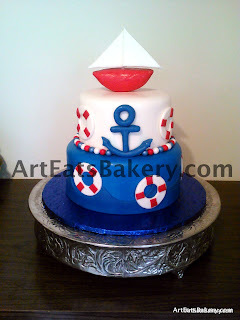 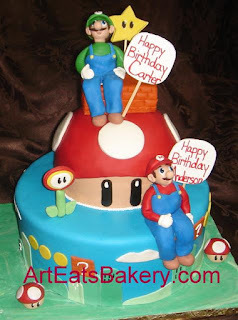 These are fun, artistic and colorful kid's birthday cakes. 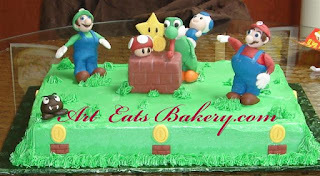 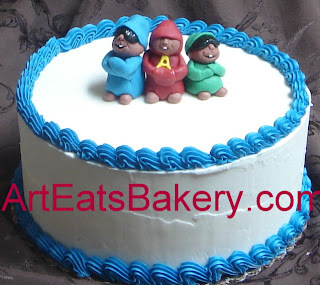 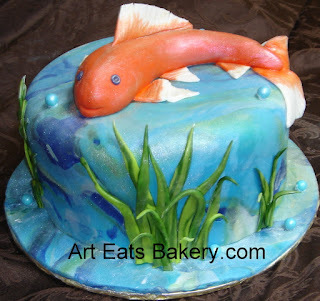 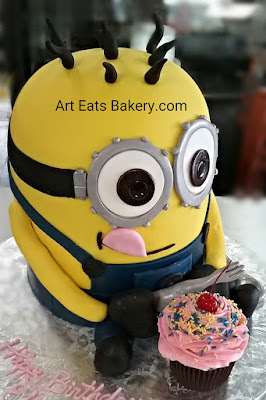 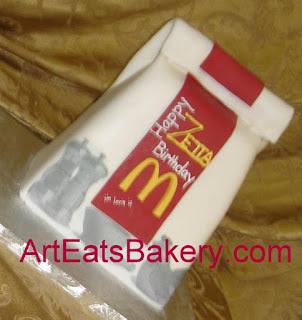 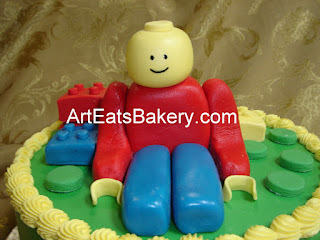 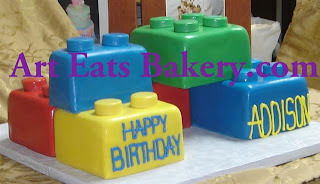 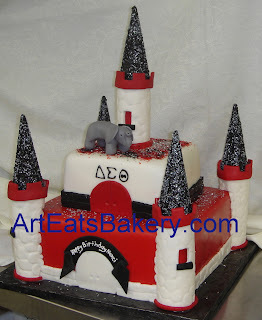 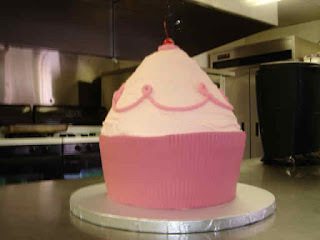 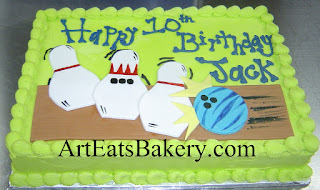 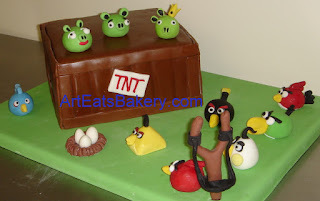 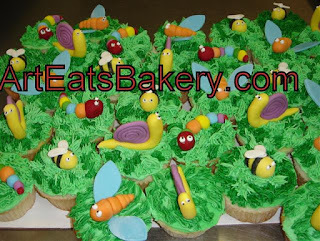 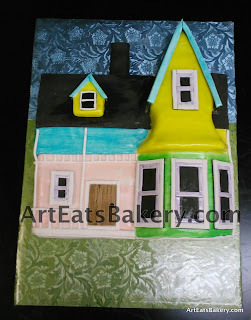 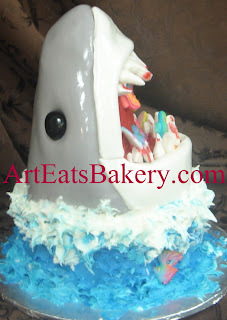 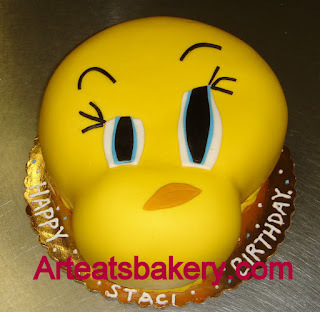 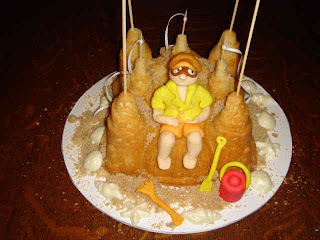 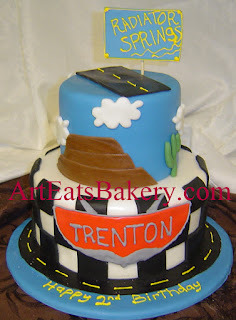 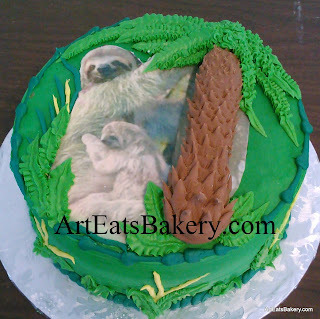 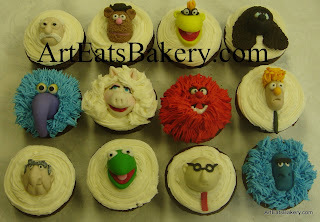 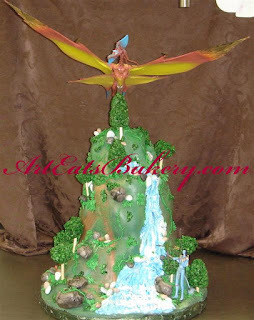 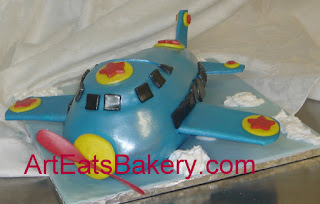 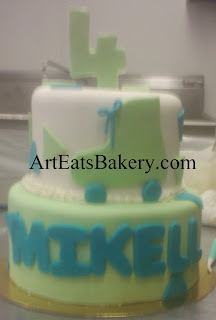 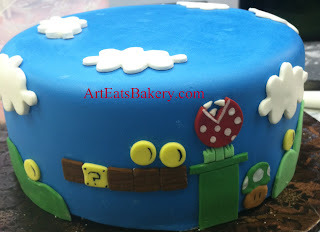 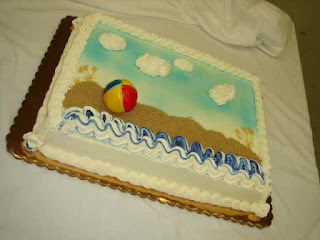 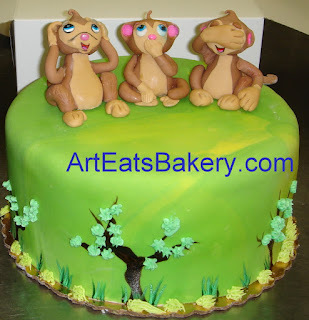 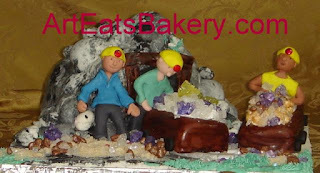 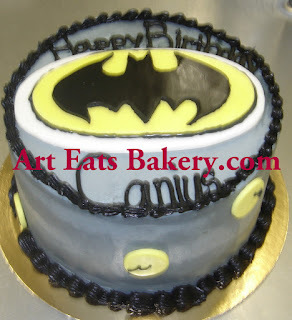 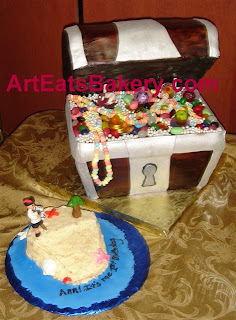 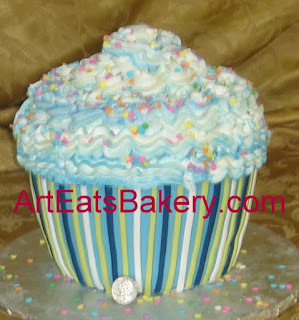 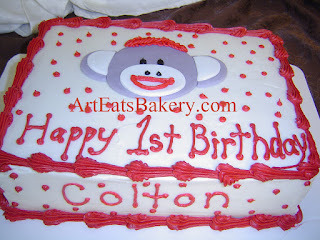 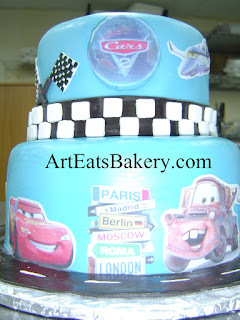 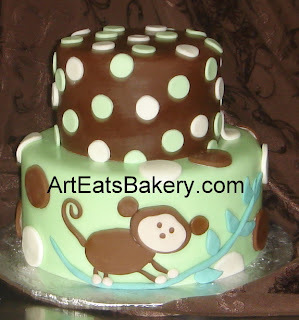 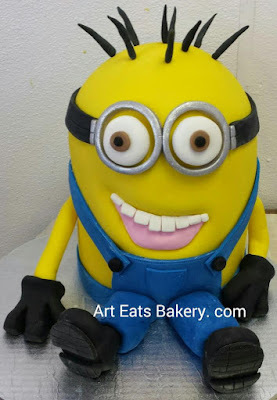 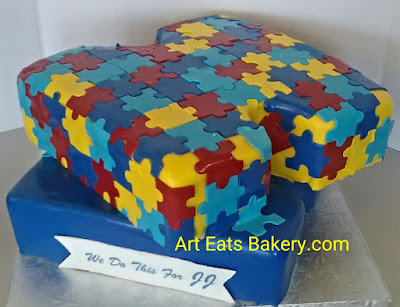 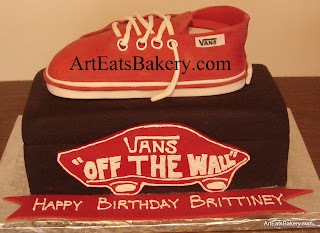 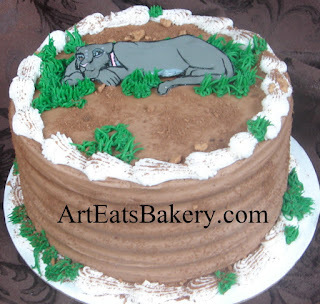 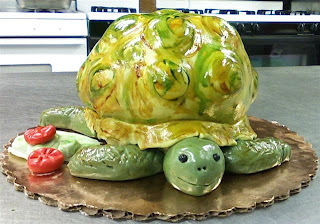 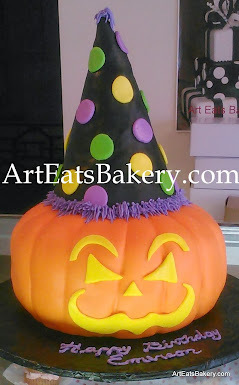 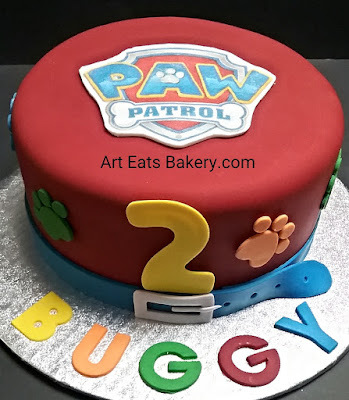 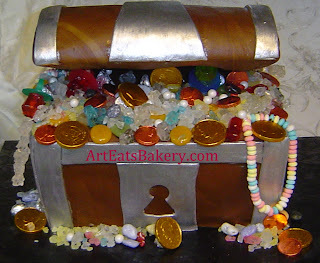 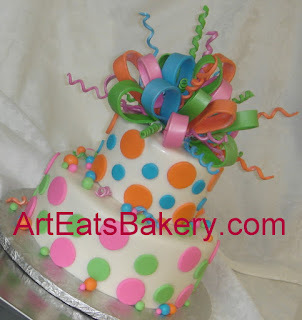 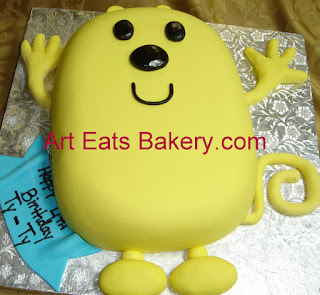 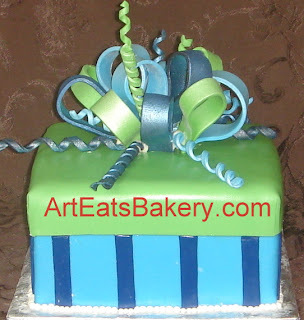 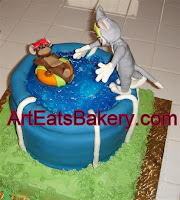 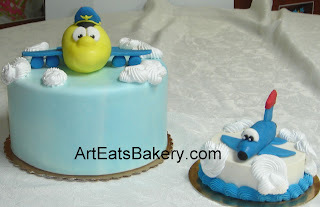 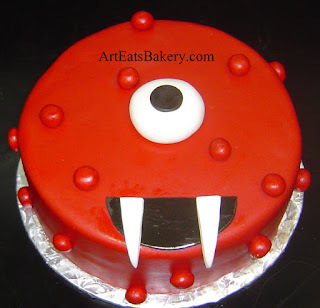 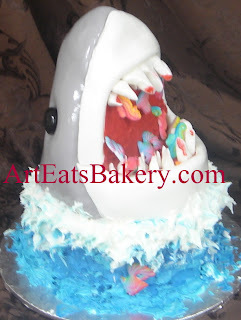 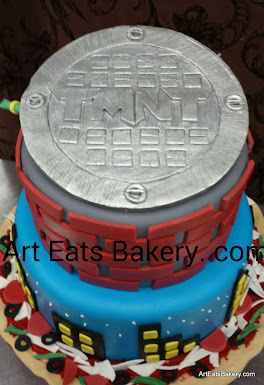 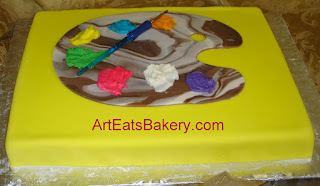 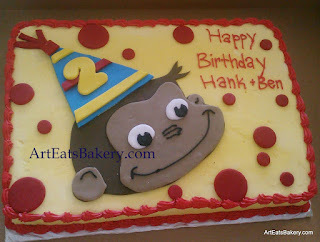 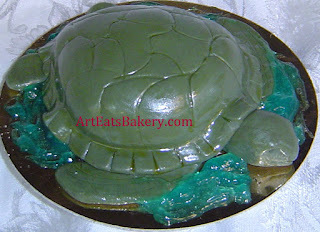 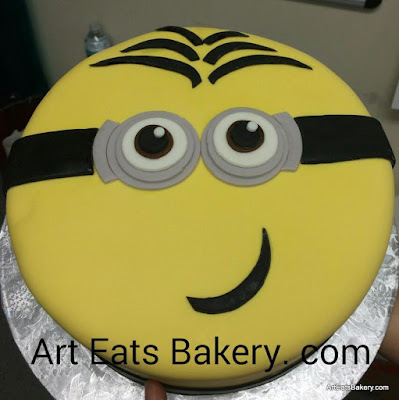 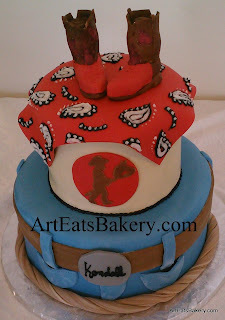 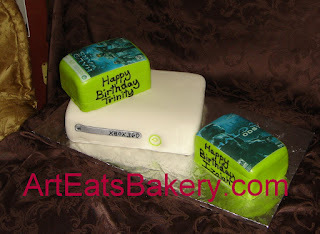 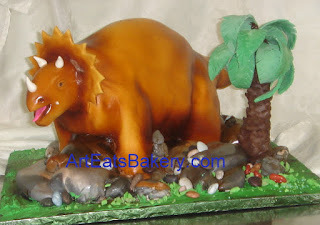 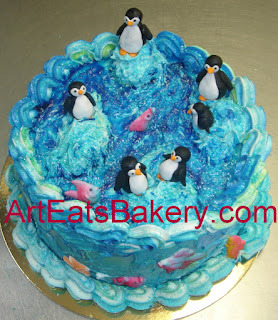 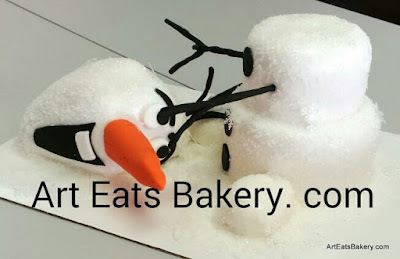 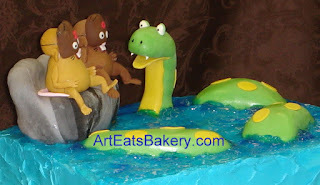 Art Eats Bakery can make ANY design you want, these are just a few ideas. 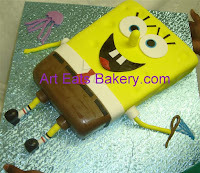 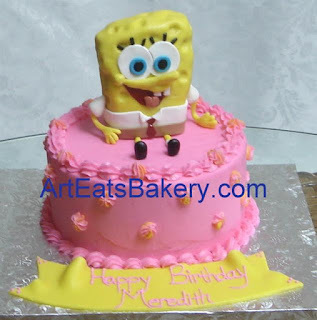 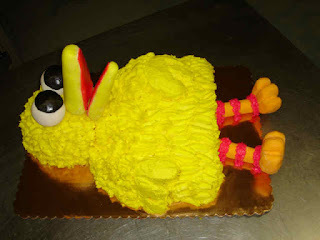 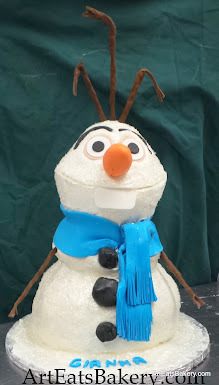 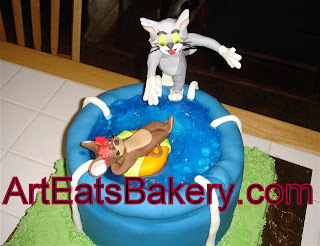 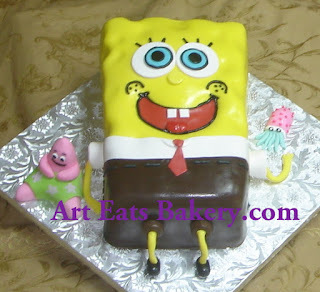 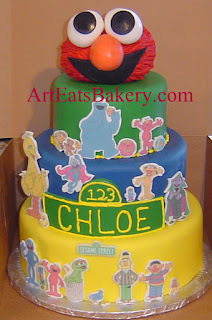 We have SpongeBob, Dr.Suess, Disney, The Muppets, Pixar and many more ideas on this page. 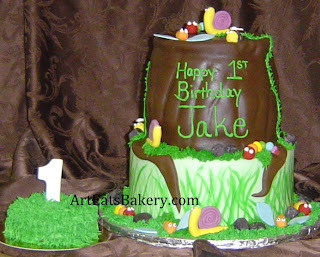 John Deere tractor tire birthday cake with hay, fence and Deer logo design. 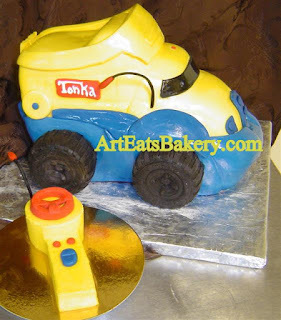 A toy tractor was put on at the party. 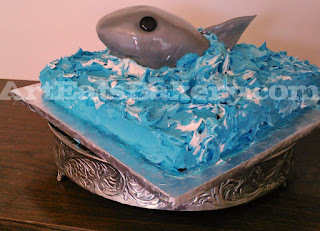 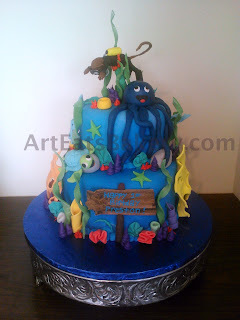 Birthday confections from "Under da Sea"! 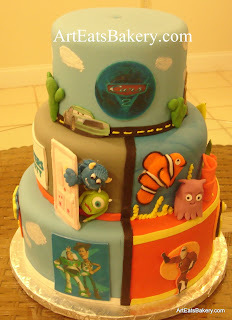 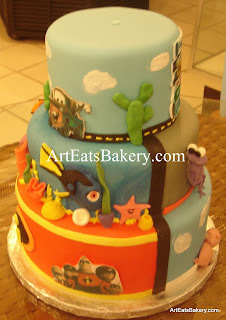 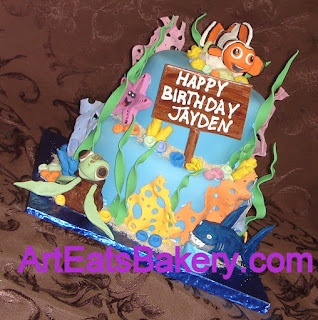 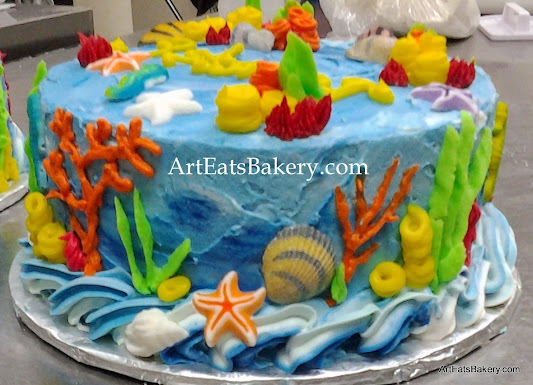 Celebrate Disney's underwater heroes Ariel and Nemo (they are toys bought by the mom) with this custom kid's birthday cake featuring vibrant colored fondant in two tiers decorated with edible coral and personalized birthday greetings.